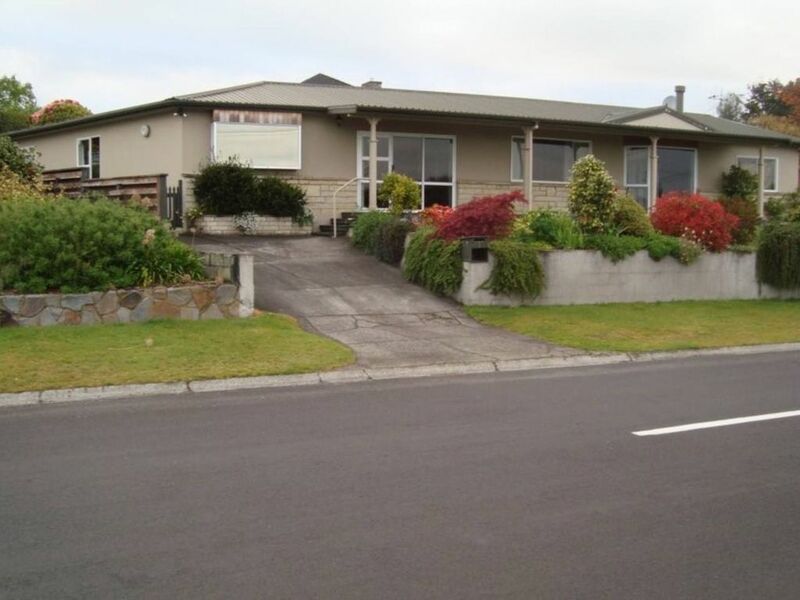 Shepherd House is a 5 bedroom, 3 bathroom Taupo holiday house a 5 minute walk to the lakes edge. This relaxing holiday home enjoys lake views, ample room for your group, plus an indoor geothermal pool and free WiFi! This Taupo holiday home includes open plan living with a gas fire for cosy winter stays... or relax on the deck with peaceful surrounds and lake views! The fully fenced section is a great option for families, with a children's playhouse available and a sheltered BBQ area. Plus, the geothermal pool is on hand for cooler evenings, and is located in a separate pool house. In addition to the en-suite, 2 more bathrooms complete the easy holiday set up at Shepherd House. Relax in the geothermal pool, enjoy BBQ's in the private garden, or head out to the lake... Everything you need for a laid back family getaway is on hand. NOTE THIS IS NOT A PARTY HOUSE. It is a quiet upmarket residential area and the neighbors will quickly ring noise control and the PM and the owners. If you are planning a party or stag do suggest you go somewhere else. When making a request please include information on the age range of the guests intending to stay and plans for while you are in Taupo. Please note we may contact you for more information on behalf of our owners. One dog allowed subject to owners approval. The dog is not allowed in the house. Geothermal hot pool available, children must be monitored at all times. Note pool is empty on arrival. Such a fantastic spot. The house is huge and fit all our needs. Fantastic for a large group and immaculately kept. Great house, perfect for kids. The property was the perfect place to be based for a weekend in Taupo. Lovely and warm. The thermal spa was an awesome extra. great family house and the location is very good, it was very convenient for my family.